How many types of driving license are there in India? Wondering how many types of driving license are there in India? Confused about which type of driving license to go for? Looking for information regarding where to start while applying for a driving license? Read ahead to know answers to the above-mentioned questions and other details about the Indian driving license. Indian Motor Vehicles Act, 1988 has made it mandatory for every vehicle driver or rider to possess a valid driving license. Driving a vehicle without a valid driving license is illegal and will lead to a penalty. It is also a proof of identity; thus, it is extremely important to disclose accurate personal information while applying for a driving license. Listed below are the types of driving license one can avail as per their requirement. Driving a car or riding a bike is a task that involves a lot of responsibility. An accident caused by your vehicle can harm you as well as others. Thus, it is crucial to learn driving before venturing out on main roads. A learning license is a document that grants you the permission to learn driving. Once you hone your skills and are confident of driving on highways, then you have to clear a practical test to get a driving license. This license is what allows you to drive freely on Indian roads. It is valid for twenty years. Make sure to renew your driving license in a timely manner as driving with an expired driving license is illegal. Nowadays, a driving license comes in a Smart Card format. It stores the card holder’s biometric information. A driving license features the card holder’s photo as well as residential address, making it a proof of identity. Note that this gives you a license to drive a private vehicle. If you want to drive a commercial vehicle such as a cab, then you need to go for a commercial driver’s license. There is a difference between driving a private vehicle and driving a commercial vehicle. The government acknowledges this difference and thus has created a separate type of license for those who wish to drive a commercial vehicle. The age limit to drive a commercial vehicle is 18-22 (depending on state’s Regional Transport Office) as opposed to 18 in case of a private vehicle. This type of license is needed if you want to drive a vehicle in a foreign land. There are certain countries where an Indian driving license is also accepted. For rest of the countries, you need to get an international driving license/permit. Some countries do not accept an IDP, in such cases you need to follow rules and regulations specified by that country. A lot of car rental organizations ask for an international driving license before giving a car on rent. This document also acts as a proof of identity in a foreign land. Your nearest Regional Transport Office (RTO) is the place where you have to go to get any type of driving license. Few forms need to be filled and documents containing basic personal details need to be submitted. 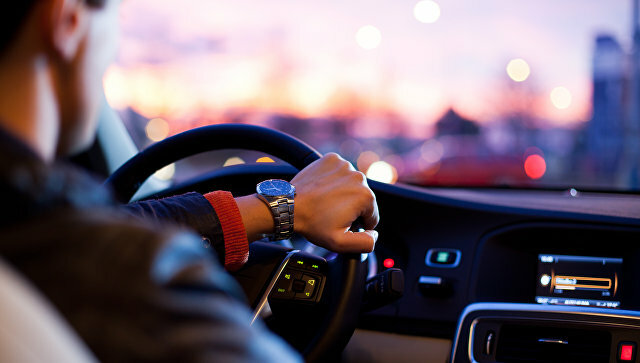 Nowadays, several state’s RTOs have a website through which you can apply for a learner’s license, driving license as well as a commercial driver’s license. You can get an international driving license through an RTO as well as Western India Automobile Association, and International Traffic Control Association (ITCA). A change in your address also needs to be updated in your driving license. If you want a driving license for a two-wheeler, it needs to be specified whether you want a driving license for a two-wheeler with gear or without gear. One can also get a driving license for a two-wheeler as well as a car. A driving license is an authorization to drive your vehicle and it goes without saying that one needs to drive responsibly.